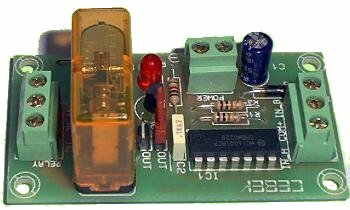 Cebek I-76 module is a OR or NOR gate and replicates either of the two logical signals TTL and CMOS. The module will do the corresponding operation and the PCB mounted relay will be a logical “1”. It is used to interface small logic signal levels with the real world.